The class once known as Formula Ford has been a stepping stone for drivers seeking open-wheel stardom for four decades. Based on the old 1600cc Kent engine, its simplicity and worldwide adoption made it the first step from karts for many a driver destined for Formula 1 or IndyCars. Unfortunately, the engine upon which the class was based ceased production long ago; blocks and parts were getting scarce, and expensive. 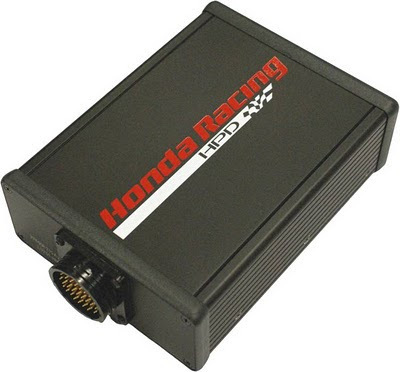 Two years ago, Honda Performance Development stepped up and proposed to the Sports Car Club of America (SCCA), one of the the chief sanctioning bodies for amateur road racing in the U.S, that the class adopt the basically stock 1500cc engine from its Fit road car. The class is now known as Formula F and for the first time in 40 years has two engine options. Being a newer-technology engine, the 1500cc Honda Fit engine actually has to be restricted to match horsepower with the race-prepared Kent engines. The proper size of the restrictor is still being worked out by SCCA and other sanctioning bodies. The new engine will also be used in the new-for-2011 F1600 Formula F pro series that will run alongside the F2000 Championship series. Hi. My name is Mike Scanlan, and I race a Honda engine. My car doesn’t look like a Honda; it’s a Swift DB-6 Formula F car with a Honda engine. For the past 18 years, I’ve been racing in the class once known as Formula Ford in SCCA Club Racing. In 2011, I’ll be adding the F1600 Formula F Championship Series to my schedule. I prepare my own cars and I have built my own engines. I built them so I could control the quality and keep my hands in it a little bit. The Kent motor was getting old and the SCCA was trying to replace parts – new forged cranks, new blocks – trying to lengthen the lifespan. But the bottom line is it was getting more expensive and it wasn’t changing the lifespan of the rebuilds. On a typical Kent rebuild, we’d get 20 hours of peak use; you could run them for 30 or 40 hours, but you needed to do some maintenance to keep the performance level up. That’s why the concept of the Honda intrigued me. It would be a stock motor, which wouldn’t be subjected to the same close tolerances and be able to keep its power longer. I jumped quickly on the Honda product as soon as it was approved at the end of 2009 and put a kit in my DB-6. I raced it the first time in March of last year and continued to race it throughout the season, including the National Championship Runoffs, where I finished 12th. The SCCA had slowly given us a bigger restrictor plate as they saw the plate they started with had made the car not really competitive at the National level. It had good grunt out of the corners, and I could stay with guys in tight situations, but it wasn’t competitive at the top end. We did some testing at New Jersey Motorsports Park with members of the SCCA Club Racing Board present. I ran four or five different restrictor plates and I gave them access to all my onboard data. I also had good baseline data from last year with the Kent engine from the same track, so they were able to see comparisons. Based on that, they made a recommendation for a 29.0mm restrictor plate. I was hoping they’d give us another 0.5mm for the Runoffs, but that didn’t happen. I suspect we’ll see further adjustments this year, especially with data from different restrictor plates that will be used in the pro series. Power aside, the real benefit is cost. I put 3000 miles on the Honda moto r last year, and it still has the power that it had on Day One, so I’m already ahead of the game. I plan to run the whole season with this motor. I have another motor ready to go , but it doesn’t look like I’m going to need it. This thing has been the height of reliability, and I’m thrilled with it. It costs anywhere from $2000 to $3000 to rebuild an engine for this class; but Honda will sell me a brand new motor for $2500. I bought one from a junkyard out of a Honda Fit for $800 that’s in my trailer as a spare motor. It doesn’t really pay to rebuild the engine at that replacement price. On top of that, Honda Performance Development has been really easy to deal with and they’ve been really supportive. They helped me out last year – they helped all the racers out – with club racing contingency programs and Runoffs incentives, and hats off to them for doing that. It’s time a manufacturer stepped up in this class. When the class started more than 40 years ago, the engine manufacturer was an active part. . That died off, and it’s long overdue for another manufacturer to step up, and Honda appears to have done that. Although I will try to qualify for the SCCA National Championship Runoffs again, I’m focusing my energy on the F1600 Formula F Championship Series this year, which will run alongside the established F2000 series for winged, higher-horsepower cars. If we have equal horsepower – and I believe the pro series is going to take a different tack toward solving the restrictor plate problem, starting with a larger plate and then backing it down, because they have the ability to change from session to session – I see my prospects as pretty good. But there are a lot of tough guys signed up, guys that have won National Championships, and there are some young kids coming up out of karts. I would expect to challenge for podiums in every race, and hopefully win a few here and there. Honda Performance Development is helping sponsor the series, along with Hoosier Tires and The Mid-Ohio School. I think Honda’s involvement may have been the thing that put it over the top to add this class to the pro series. It might have happened someday, but their involvement has certainly helped it get off the ground this year. Look for Mike Scanlan and the rest of the F1600 Formula F Championship Series competitors at Virginia International Raceway on April 10, followed by Watkins Glen (June 3-5), Mid-Ohio Sports Car Course (June30-July 2), Lime Rock Park (September 16-17) and a return to Watkins Glen (October 14-16) to cap the season. One consistent fact I’ve noticed about Honda Performance Development in my 15-year association with Honda’s racing program: the company never accepts the status quo. Improving the product – and the results – is always the goal. This is as true for Formula F (and other Grassroots Motorsports programs) as it is for Honda’s IndyCar and sports prototype efforts. Prior to the start of the 2011 season, HPD provided all Honda Formula F racers with free, upgraded ECUs to be used in conjunction with the Honda Fit engine. It was a simple procedure; a pre-paid shipping label arrived at our shop and all we had to do was ship our old ECU back to HPD and swap it out for the upgraded version. With SCCA approval, the ECU upgrade addressed two issues we noted with our Honda-powered Van Diemen FF in 2010: a discrepancy between the fuel pressure as set by the ECU and the actual pressure in the line; and a tendency for the car to be difficult to start on a less-than-full battery charge. The ECU upgrade now ensures that the fuel-pressure reading in the dash CAN stream now matches the actual pressure in the line. The other upgrade now provides quicker starting, even with a battery producing as few as 8 volts (from the normal 12-14 volt range). These are small changes, to be sure, and do not affect the performance characteristics of the Fit engine. But the result is two fewer items to worry about on an already crowded test weekend.